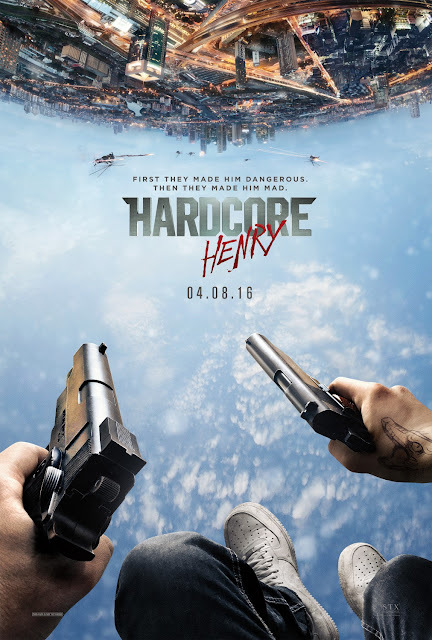 Probably one of the most unexpected highlights of this movie is how it was able to be a comedy taking on the serious issue of gun violence. In a sense, the movie made the city of Chicago a living and breathing character in itself. It didn't simply treat the city of Chicago as just a random urban setting where people happen to get their hair cut. 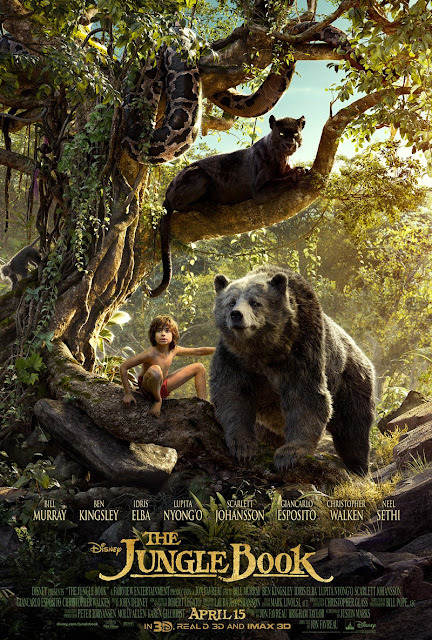 Instead, the film does a great job of tackling various issues through its characters. The film doesn't hold back on addressing the good and bad aspects of Chicago ranging from the gangs, neighborhood communities, or even the educational system. Ice Cube ("Calvin") and Jazsmin Lewis ("Jennifer") both portrayed the day to day struggle of parents trying to fight for the love and admiration of their children. What was interesting about this portrayal was that it didn't simply rest with a parent settling with telling their child all of the generic "parenting lectures" that we would get from a day-time television show like Family Matters. Rather, we were shown the, often times troubling, challenge of parents trying to prove to their children that their love is far greater than the attention gangs appears to provide. The wide variety of the cast was a great element to help the comedy. From Deon Cole's random side comments to Lamorne Morris' awkward humor to the old-school comedic performance of Cedrick the Entertainer; you can rest assured that you'll get some laughs from all sides. I think that one of the weaker parts of the film was with a very dramatic/serious situation happens. Not only is it predictable, but I think that it could have been a lot better. Obviously, I won't go into detail about the scene, however, I think that when you see it you'll know what I'm referring to. What I will say is that the way the situation plays out seems incredibly unrealistic, especially given the way the movie raises the level of suspense and tension during that one scene. I just think that the way it played out, there was a missed opportunity to make this film be a little more authentic and real. As a Chicagoan, I'm going to be biased about this film regardless. As some of you may recall, I had an interesting and controversial review of Chi-Raq not too long ago. 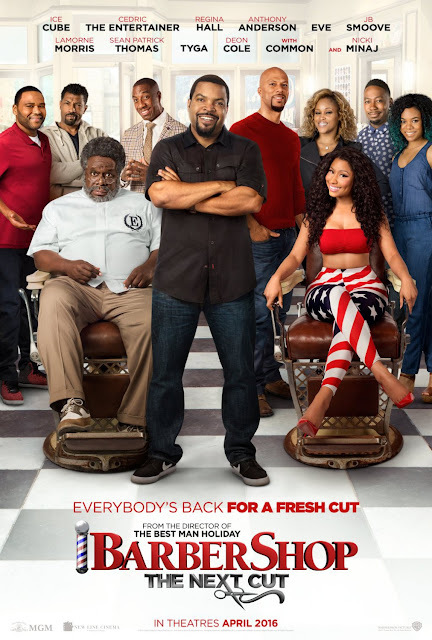 What I will say about Barbershop 3 is that it manages to accomplish something that Chi-Raq was unable to do. It was able to speak directly to the issues related to the Chicago violence that people who are affected by the violence can readily understand. Barbershop 3 respected and showed nothing but love to the city of Chicago while still addressing a very sensitive topic. This is what Chi-Raq should have been. This is what Chicagoans were hoping and expecting to see if a movie tried to tell their tale. It's not overly political, nor will it having you in tears. What this movie will do, I think, is give you a small sense of hope, encouragement, and laughter while still reflecting on the serious gravity of the tragic situation that plagues the city of Chicago. I don't believe that people will be disappointed with this film, and it's well worth the watch. Kevin Costner's character finds an interesting way to be both uncaring and caring at the same time. The somewhat unique story line allows his character to deal with two minds at the same time, so to speak. It was far more interesting watching his normal self as the ruthless "Jericho Stewart". A few of the action and chase scenes were entertaining to watch. Ryan Reynold's character seemed a bit more interesting despite his appearance in the film being short-lived. Gal Gadot provided a much better glimpse of what we can maybe expect, acting-wise, from her future solo movie roles (i.e. Wonder Woman). Where do we begin?? Kevin Costner just isn't believable as an action star. The story makes sense for him to be both cold-blooded and have a heart at the same time, but there just wasn't enough of a separation. This came off to be like an actor just wanting to show off his range in an acting school or something. His character's interactions with Gal Gadot were probably the biggest stretch for me. It goes from one very intense extreme (which was believable) to an utterly flimsy one as the movie progressed. The most innovative thing about the story was the memory transplant operation. Unfortunately we see that in the trailer, and there's really nothing more about it throughout the film. (If you like that mind swapping story angle, you'd probably be more interested in the movie Self/Less which took it further). While this film had a great cast on paper, it didn't really translate very much to the big screen. Each actor seemed to do well on their own but not enough to raise the bar for the movie as a whole. Unfortunately this film feels kind of stuck in time. You would think that it was a generic action movie from 2002 except someone dusted it off and placed 10 minutes of new aged sci-fi to give it a boost. I completely understand how this movie will appeal to those who liked older action films. 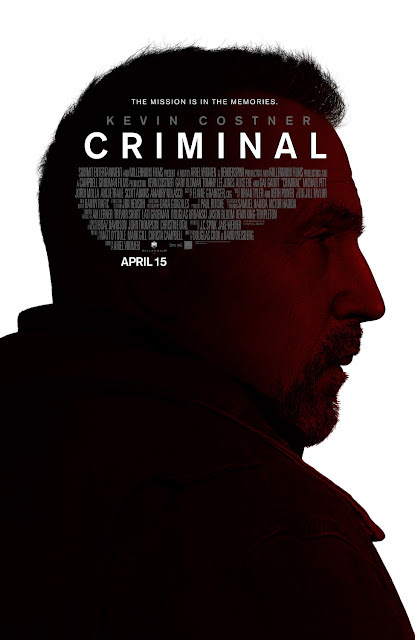 However, Criminal seems like a straight to DVD rental that you can watch on a Saturday night when you have nothing else to do. Given the fact that it does have some good actors, it wouldn't be a complete waste of time though. I think if you REALLY, REALLY liked the trailer, then watch this as a matinee or discounted rate at your local theater. Otherwise you can watch this on DVD or for free in the comfort of your own home. For a movie about memories, this was pretty forgettable.